Dr Rick Sarre is Professor of Law and Criminal Justice at the University of South Australia’s Law School. 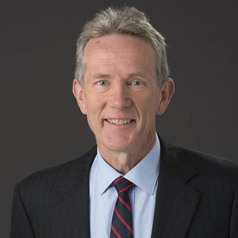 He completed his law degree at Adelaide University in 1976, undertook undergraduate studies in theology and sociology at Graceland University, 1978-1979 (Iowa, USA), finished a Masters degree (Criminology) in Canada in 1983, and received his doctorate (Legal Science) from the University of Canberra in 2002. In 2015 Professor Sarre was awarded an honorary doctorate in law from Umeå University, Sweden. He taught commercial law, media law, sports law and criminology for 34 years in four countries (in addition to five years of part-time legal practice) before retirement from classroom duties. He is the immediate Past President of the Australian and New Zealand Society of Criminology over which he presided for four years. He also served three years on the Victim Support Service (SA) board, six years on the Offenders Aid and Rehabilitation Services of SA board, 18 years as an Associate of the Australian Institute of Criminology, and 8 years as the President of the SA Institute of Justice Studies. He is currently a Vice-President of the Adelaide University Football Club, a Vice-President of the Friends of the State Library (SA), and a Director of Community of Christ Ltd. He and his wife Debra and their two children live in Adelaide. They have travelled with him for overseas teaching appointments in the USA (1996-1997) and Sweden (2004). He has been a member of the ALP for 35 years and continues as President of the Sturt Federal Electorate Council (FEC). In 2010, and again in 2013, he stood unsuccessfully as the Labor candidate in the federal seat of Sturt. In 2018 he stood unsuccessfully as the Labor candidate in the State seat of Bragg.